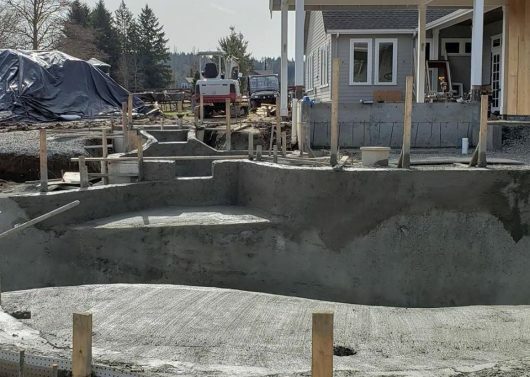 If you’ve been following us on Facebook and Instagram, you’ve probably noticed the big pool we’ve been working on in Snohomish. 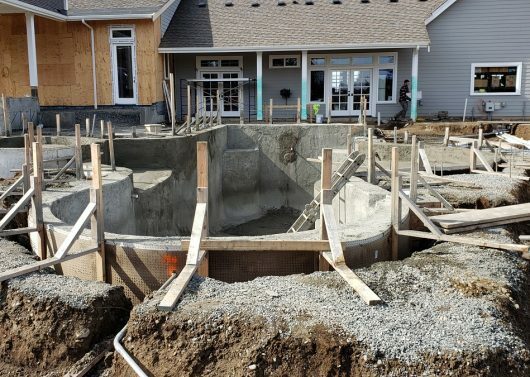 Just in the past month we’ve gone from plywood and rebar to a whole lot of concrete. 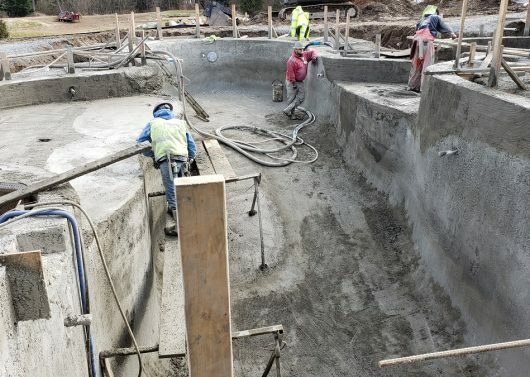 In the first 2 images above, shotcrete is being applied to all of the surfaces of the pool. 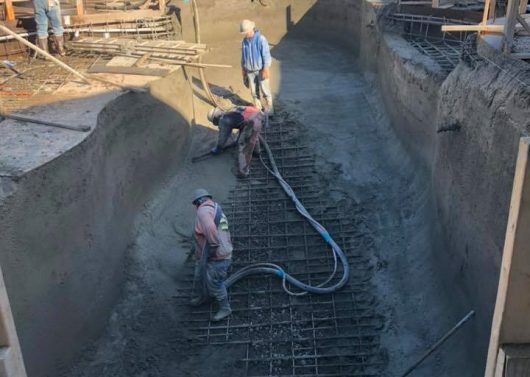 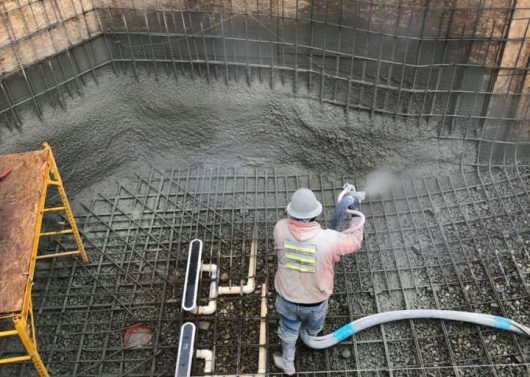 Shotcrete is when concrete is applied pneumatically. 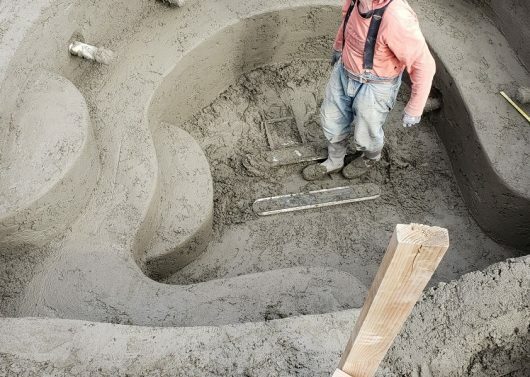 When applied this way, it instantly compacts the material so that it stays in place whether it’s on the ground or up on a wall. 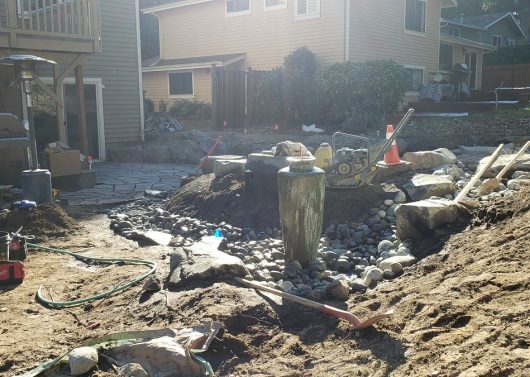 We’re also working on another project in Kirkland that will include a fire pit area, flagstone patio, deck, drystream, and a water feature. 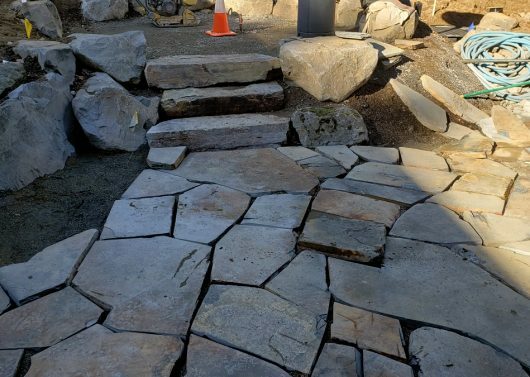 We know you’re all eagerly awaiting to see the finished projects so keep checking Facebook and Instagram and these monthly blog posts to track our progress! 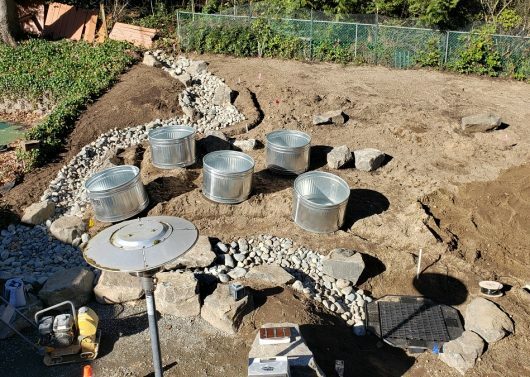 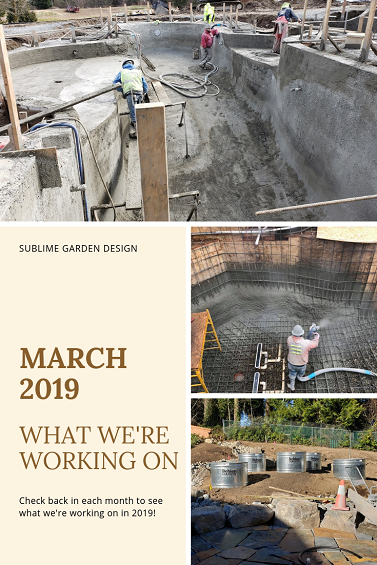 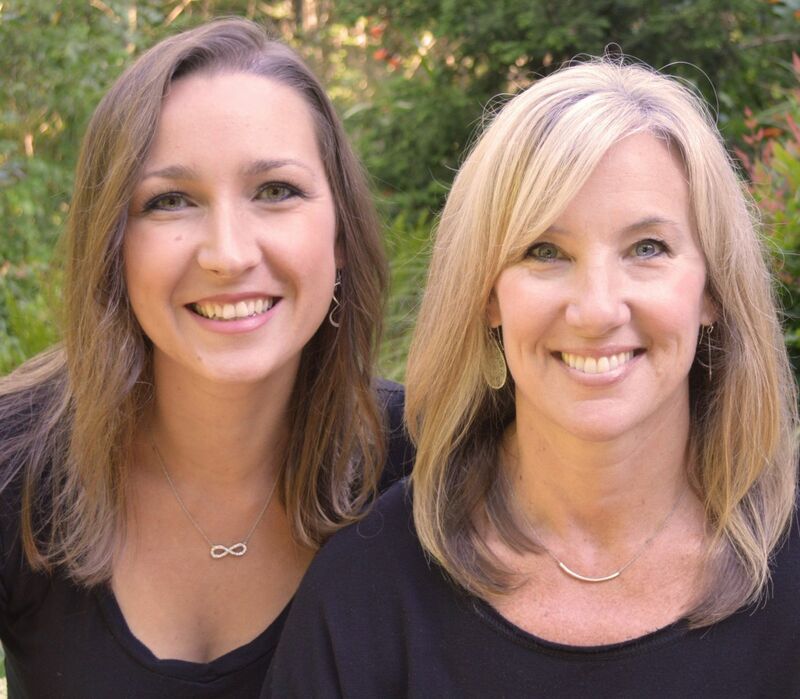 Organized under Landscape Architect, Landscape Architecture, Landscape Design, Outdoor Gathering Space, Water Features, What We're Working On, Whats New. 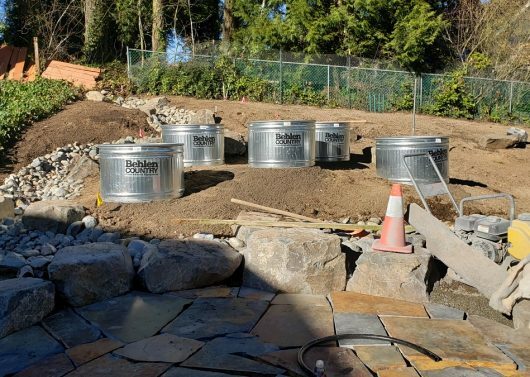 Labeled as bubbling rock water feature, bubbling water feature, drystream, flagstone patio, galvanized trough planters, kirkland landscape design, montana flagstone patio, montana stone risers, pool construction, shotcrete, shotcrete pool, Snohomish landscape design, spa, stone risers, what we're working on, what's new.